Hey you! Thanks for stopping by. Before you scroll down, take 60 seconds and watch this short video from our host, Amanda Boleyn. The Ultimate Leap Suite is a 6-week course designed to teach women how to build a business their way. Is the ULS right for you? Are you someone who has always wanted to start your own business but not sure how? Does fear of failure and the unknown stop you from taking action? You have a job but it isn’t fulfilling and you’ve always known deep down inside of you that you were meant for more. You have NO idea what business you would even start. Are you afraid you won’t be able to financially support yourself? Do feel you lack confidence, time and means to make your dreams come true? Are you overwhelmed by your life that you can’t see clearly? Do you find yourself lacking direction and clarity? Do you worry about how you're going to find clients? The purpose of the ULS is to provide women who want to be a business owner the education, support and means to do so. Amanda and her team will help you cut down the learning curve and cut through the noise to help you achieve your definition of success faster, more efficient and with sustainable results. Together, over the course of the six weeks Amanda and her team will share everything they’ve learned about being a business owner, the mistakes they’ve made and how to do it your way. - Access to a private Facebook group with unlimited support by other members, Amanda and her team. Ask anything you want and we will answer daily! Join our first ever coaching program you get to be a part of something from the ground up. For this first round we will be doing it as a pilot. We are only allowing a limited number of people. 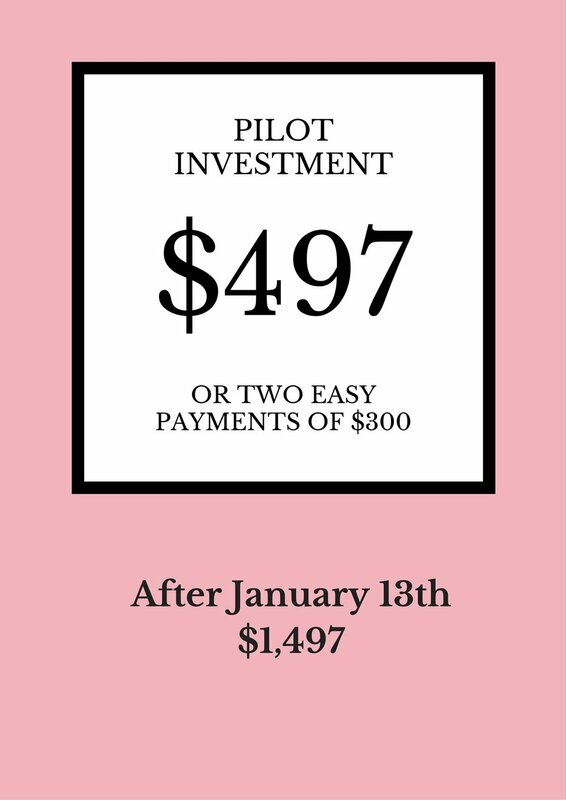 Also, by signing up for our pilot program you get the benefit of a lower investment cost. We promise that if you're not satisfied by the end of the 6 weeks we will give 100% of your money back, guaranteed. Don't wait another minute to start taking action on your life, goals and dreams.